you guys to my friends. But we don’t need studies to prove this – many of us have been experiencing power outages in our Long Island homes first-hand. While we can’t control the weather, now we CAN control it’s impact. 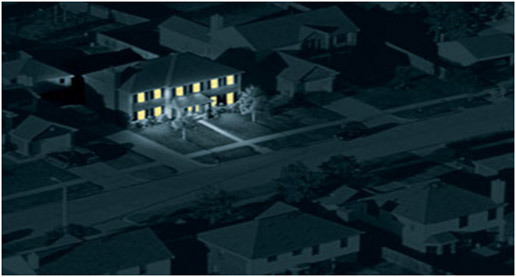 The solution: a generator installed in your home. When the power goes out, the generator turns on. It’s that simple! Enjoy peace of mind knowing that during storms or grid problems you’ll stay connected to lighting, cooking, washing, food refrigeration, heat, internet, television, and cell phone/laptop chargers. 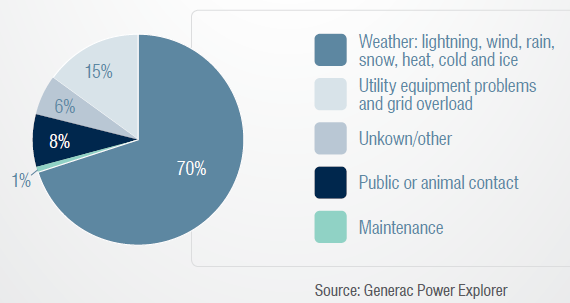 One of the most important factors to consider when choosing a generator is how much wattage you need for your home. Our expert installers will give you a in-home estimate of how much you’ll need, and we can access the unit that best fits you. Of course, another important thing is budget. Unit prices vary, so we get you the unit that best fits your budget, and offer no-interest financing and affordable monthly payment options. 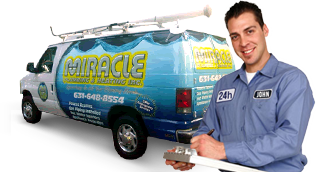 At Miracle Plumbing & Heating, we take your unique needs into account for a custom, personalized solution – not a one-size-fits-all shortcut. We specialize in installing Generac generators in the home. They’re the most cost-effective and easy-to-install generators on the market. To learn more, download their brochure. The storms aren’t stopping. The power keeps going out. Now is the time to install a Generac generator with Miracle Plumbing & Heating! Remember, we come to you anywhere in Nassau or Suffolk county! Simply call 631-648-8554 or complete the contact form below and set up a no obligation in-home estimate with an expert installer and get all of your questions answered. Questions? Simply complete this form and we’ll get back to you right away.